Of Europe’s many VFX powerhouses, MediaMonks Stockholm (formerly Stopp) may have one of the most impressive heritages. Founded in the early 1990s as Stopp in Stockholm, Sweden, the company can stake a claim to crafting the country’s first Flame system, setting it apart early as a daring innovator. And since those founding days the team has gone on to develop an impressive roster of clients and partners, working with myriad renowned directors and producers across the world. How has it done it? By thinking globally, competitively, and creatively. Around the same time that the Stopp Stockholm office diversified into interactive production, it launched an LA office targeting digital production. That combined experience means that when MediaMonks needs to select something as fundamental to VFX as a renderer, it knows how to pick the right tool for the job. And as a team that embraces a notable diversity of creative projects, from high-end online finishing to top-notch grading – including FWA-winning interactive campaign projects – MediaMonks needs a renderer it can rely on. 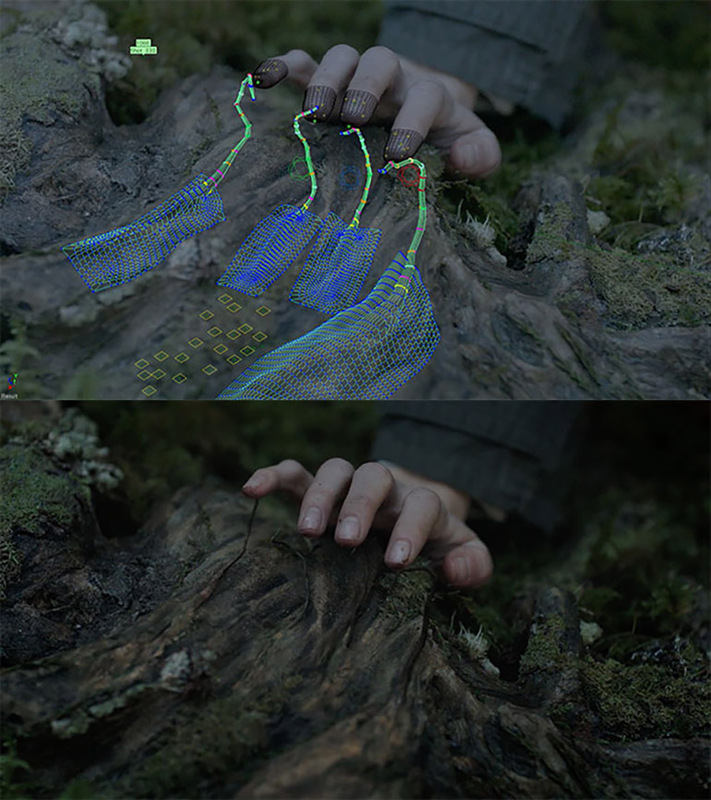 That’s part of the reason they work using Redshift. As with many other teams that employ the power of Redshift, the renderer’s GPU-based architecture is a significant boon to the output of MediaMonks Stockholm. Beyond considering gains in speed, as Björn points out, the real deciding factor in choosing the right renderer is a simple one: the quality of the results. MediaMonks Stockholm has used Redshift in a number of projects, including a narratively striking NordicBet ad spot, an astoundingly intricate shoot for an SAS airline piece, and no less than 342 shots for Swedish TV series Jordskott. The latter offers a perfect example of what Redshift brings to the table. 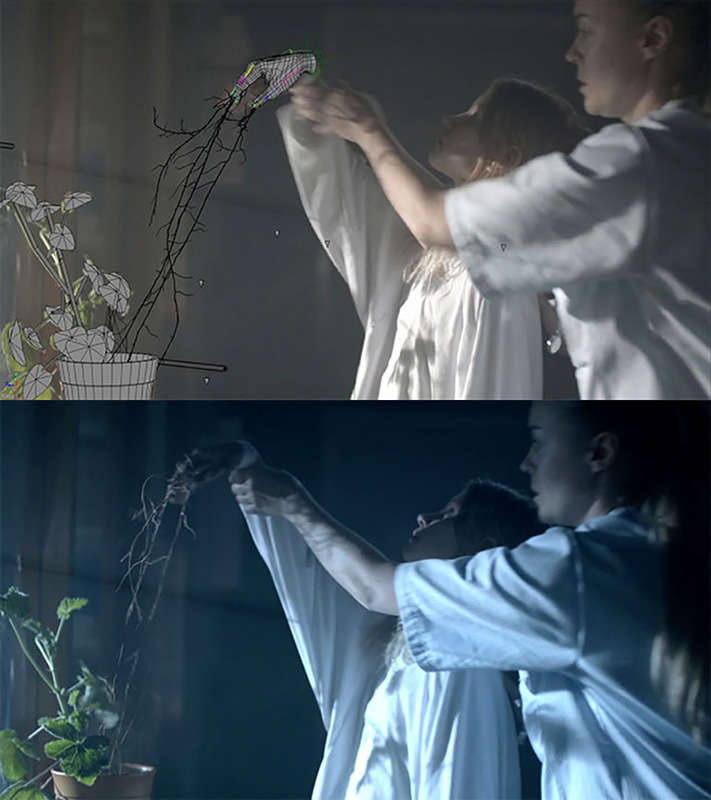 “There are supernatural elements in the Jordskott series, but sometimes they are very subtle,” states Björn. 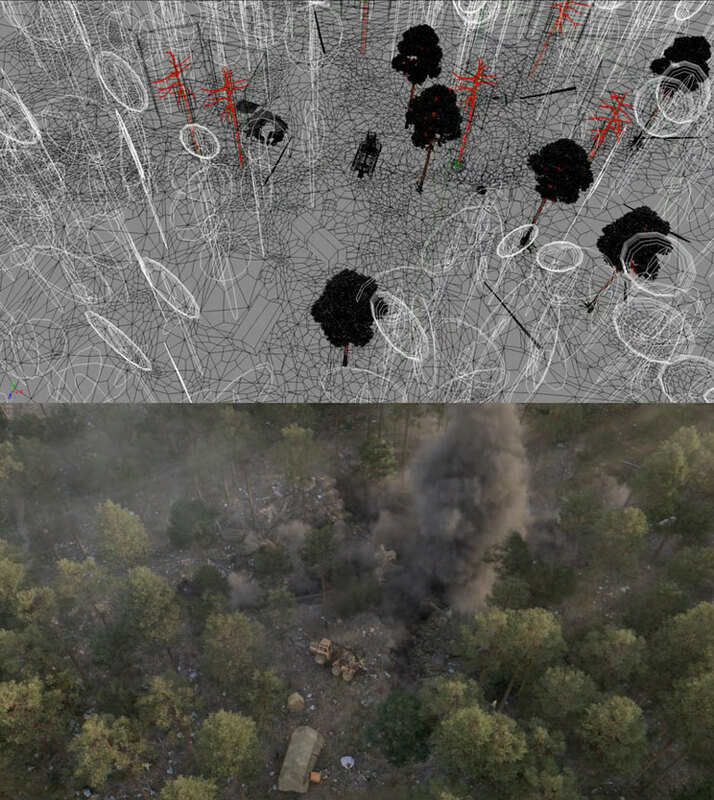 “A lot of the work we did involved ‘invisible’ effects, such as set extensions, matte paintings and enhancements of practical effects and masks, but we also did character animation work, full-CG environment shots and a massive destruction sequence. A volumetric lighting pass was also rendered for the project, while the remaining atmosphere and look treatment was handled via NUKE. “It’s a good example of Redshift truly displaying its muscles with powerful instancing and a ton of geometry and brute force GI,” adds Björn. For a team of MediaMonks Stockholm’s size, the quality and quantity of their productions is undeniably significant, and there again Redshift had a part to play. “We’re a small but highly motivated team, and we want to compete with everyone in the business if we can,” Björn enthuses. “We can’t reasonably maintain an enormous CPU farm; we currently have 10 CPU nodes dedicated to NUKE rendering in the Stockholm office, and about 10 GPU machines for our CG renders, and that goes a really long way for us. With GPU rendering, MediaMonks Stockholm’s modest team can tackle content that rivals the output of much larger vendors. However, for that to be workable, teams moving to a GPU renderer for the first time must be able to do so in a smooth and streamlined fashion – one that doesn’t interfere with projects already underway and the broader workflows of the team. Fortunately, in MediaMonks Stockholm’s experience, there again Redshift presented the perfect choice. Clearly, Redshift was the ideal choice for an ambitious team like MediaMonks. As the team that surrounds Björn in Stockholm has grown in number and aspirations, Redshift has emerged as the rendering choice that has supported the VFX studio’s continual journey in competing with the world’s best. What started with a Flame system many decades ago continues at MediaMonks Stockholm, where a team empowered by technology is continuing to define what is possible in the realm of VFX while setting standards that will last decades.